Can Your Sump Pump Handle the Snow Melt? Does anyone else feel like this has been an exceptionally wet winter? This is bad news for commuters, and could be even worse news for you if your sump pump isn’t up to snuff! Sump pumps don’t just protect your home from summer rainstorms—they also keep your home dry when runoff from melting snow threatens to put you under cold water! Testing your sump pump is fairly easy, provided you know where to find it (it should be in the basement or in a low crawl space). Bring a bucket of water with you, and when you get to the sump pit, pour the water directly down into it. The pump should kick on in a few seconds and flush the water out. If it doesn’t, you have a problem! 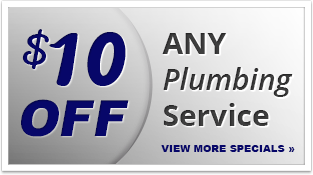 Call a local plumber to take a look at your pump and see what they can do to fix it. Trust us—you never know what the weather’s going to do, so you do not want to wait until a big snowstorm to find out your sump pump can’t do its job! You probably don’t look at your sump pump every day, so it’s important to make sure it stays clear of debris even when you’re not watching it. Things like leaves, toys, bags, balls, etc., or even dead bugs and animals, can all get stuck in your pump and prevent it from working properly (or destroy it completely). Keep the area neat and check on it periodically to make sure nothing gets in there that shouldn’t. Big snow and ice storms commonly knock out power, and if your sump pump runs on electricity, this could spell big problems for your home. Installing a battery backup will keep the pump running when the power goes out, protecting your home from flooding and keeping you dry. If you need sump pump services in Maryland, Virginia, or Washington, DC, call R.V. Carey’s today!